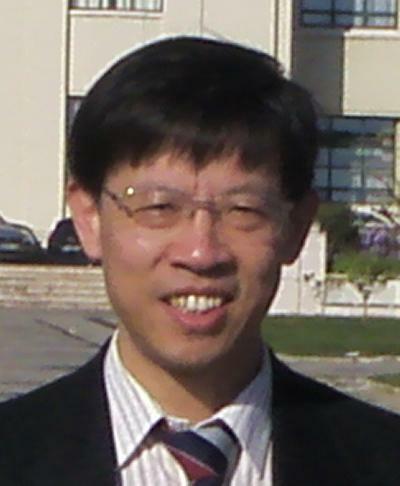 Dr Mingyi Tan is Lecturer within Engineering and Physical Sciences at the University of Southampton. Mingyi Tan is a lecturer in Ship Science, within Engineering and Physical Sciencest with a background in applied mechanics, numerical analysis and computer simulations. He studied the engineering mechanics and obtained his BSc and MEng degrees at 1982 and 1984 in Tsinghua University, China. He received his PhD in 1994 from University of Southampton on computational fluid dynamics. He then worked as a research fellow until 2007 and as a lecturer since. Mingyi is experienced in both development and applications of computational methods for fluids, and fluid-structure interactions and he has expertise in computer simulations and software solutions to problems found in different engineering disciplines and industry. Computer vision system in robotic applications. There is scientific interest in understanding the underlying wave impact dynamics on solid and/or permeable/Impermebale structures for coastal defences. The accurate and validated simulation of the dynamics of the flow prior to, at and after impact has been an outstanding and challenging numerical problem in CFD. Cao, Y., Townsend, N., & Tan, M. (2017). Hybrid renewable energy system for ocean going platforms. Paper presented at OCEANS'17 MTS/IEEE, Aberdeen, United Kingdom. Jiang, Z., Tan, M., & Ma, S. (2017). Suction force and multiple frequencies subjected to oscillating cylinder on water surface. In Proceedings of the Twenty-seventh (2017) International Ocean and Polar Engineering Conference (pp. 133-137). (International Ocean and Polar Engineering Conference 2017). San Francisco, CA, USA. Mayon, R., Sabeur, Z., Tan, M-Y., & Djidjeli, K. (2016). Free surface flow and wave impact at complex solid structures. Paper presented at 12th International Conference on Hydrodynamics, Netherlands. Li, L., Tan, M., & Blake, J. I. R. (2015). Numerical simulation of multi-body wave point-absorber. In C. Guedes Soares, & R. A. Shenoi (Eds. ), Analysis and Design of Marine Structures V (pp. 723-730). CRC Press. Ramli, M. Z., Temarel, P., & Tan, M. (2015). Smoothed Particle Hydrodynamics (SPH) method for modelling 2-dimensional free surface hydrodynamics. In C. Guedes Soares, & R. A. Shenoi (Eds. ), Analysis and Design of Marine Structures V (pp. 45-52). CRC Press. Sun, F., Tan, M., & Xing, J. T. (2013). Application of incompressible smoothed particle hydrodynamics method for 3D fluid solid interaction problem. Paper presented at Proceedings of the 10th WSEAS International Conference on Fluid Mechanics (FLUIDS '13), Italy. Xing, J. T., Jiang, W. K., & Tan, M. (2012). A theoretical solution of a water- spherical shell-damping layer interaction system for underwater noise reductions. Paper presented at 23rd International Congress of Theoretical and Applied Mechanics (XXIII ICTAM), China. Sun, F., Tan, M., & Xing, J. T. (2012). Air-water two phase flow simulation using smoothed particle hydrodynamics. 58-63. Paper presented at 2nd International Conference on Violent Flows, France. Wood, C. D., Sobey, A. J., Hudson, D. A., Tan, M., & James, P. (2011). Estimation of orifice flow rates for flooding of damaged ships. Paper presented at RINA International Conference on The Damaged Ship, United Kingdom. Sun, F., Tan, M., & Xing, J. T. (2011). Investigations of boundary treatments in incompressible smoothed particle hydrodynamics for fluid-structural interactions. In Recent Researches in Mechanics (pp. 92-97). World Scientific and Engineering Academy and Society. Wood, C. D., Hudson, D. A., & Tan, M. (2010). CFD simulation of orifice flow for the flooding of damaged ships. Paper presented at NuTTS 2010: 13th Numerical Towing Tank Symposium, Germany. Denchfield, S. S., Wood, C. D., Hudson, D. A., Tan, M., & Temarel, P. (2010). Comparisons between CFD predictions and experiments for rogue wave-ship interactions. Paper presented at PRADS 2010: 11th International Symposium on Practical Design of Ships and Other Floating Structures, Brazil. Lee, Y., Tan, M., Temarel, P., & Miao, S. (2010). Coupling between flexible ship and liquid sloshing using potential flow analysis. In Proceedings of the 29th International Conference on Ocean, Offshore and Arctic Engineering New York City, US: American Society Of Mechanical Engineers (ASME). Lee, Y., Tan, M., Temarel, P., & Miao, S. H. (2010). Coupling between flexible ship and liquid sloshing using potential flow analysis and their effect on wave induced loads. Paper presented at William Froude Conference on Advances in theoretical and applied hydrodynamics – Past and Future, United Kingdom. Xing, J., Xiong, Y., Tan, M. Y., & An, H. (2009). A numerical investigation of a wave energy harness device-water interaction system subject to the wave maker excitation in a towing tank. In Proceedings of the 28th International Conference on Ocean, Offshore and Arctic Engineering (pp. 1-10). New York, USA: American Society Of Mechanical Engineers (ASME). Xing, J. T., Xiong, Y. P., & Tan, M. Y. (2009). Application developments of mixed finite element method for fluid-structure interaction analysis in maritime engineering. In Proceedings of Marstruct 2009: Analysis and Design of Marine Structures. 2nd International Conference on Marine Structures (pp. 83-92). London, UK: Taylor & Francis. Tan, M., Xiong, Y., & Xing, J. T. (2009). Dynamic response analysis of an onshore LNG-storage tank interaction system subject to impact or earthquake loads. In Proceedings of the Sixteenth International Congress on Sound and Vibration - ICSV16 (pp. 1-8). Krakow, Poland: International Institute of Acoustics and Vibration (IIAV). Wood, C., Hudson, D. A., & Tan, M. (Accepted/In press). Numerical simulation of compartment flooding for damaged ships. Paper presented at 12th Numerical Towing Tank Symposium, Italy. Lee, Y. B., Tan, M., & Temarel, P. (2008). Coupling between ship motion and sloshing using potential flow analysis. 573-581. Paper presented at 8th International Conference on HydroDynamics (ICHD'08), . Perez G, C. A., Tan, M., & Wilson, P. A. (2008). Validation and verification of hull resistance components using a commercial CFD code. Paper presented at 11th Numerical Towing Tank Symposium, . Xing, J. T., Xiong, Y. P., & Tan, M. (2007). The dynamic analysis of a building structure - acoustic volume interaction system excited by human footfall impacts. 1-8. Fourteenth International Congress on Sound and Vibration (ICSV14), . Xing, J. T., Xiong, Y. P., & Tan, M. (2007). The natural vibration characteristics of a water-shell tank interaction system. 305-312. Paper presented at 1st MARSTRUCT International Conference, . Xiong, Y. P., Xing, J. T., & Tan, M. (2007). Transient dynamic responses of an internal liquid-LNG tank-sea water interaction system excited by waves and earthquake loads. 1-8. Paper presented at Fourteenth International Congress on Sound & Vibration (ICSV14), . Tan, M., Xiong, Y. P., Xing, J. T., & Toyoda, M. (2006). A numerical investigation of natural characteristics of a partially filled tank using a substrutcure method. 181-190. Paper presented at Hydroelasticity '2006: Hydroelasticity in Marine Technology, . Toyota, M., Xing, J. T., Xiong, Y. P., & Tan, M. (2006). An experimental study on vibration characteristics of a thin spherical tank–water interaction system. In Proceedings of Hydroelasticity '2006: Hydroelasticity in Marine Technology (pp. 191-198). Beijing, China: National Defense Industry Press. Wilson, P. A., Zhao, J., Price, W. G., & Tan, M. (1996). A basic study of the first manoeuvre decision making for automatic collision avoidance systems using neural networks and fuzzy sets. In J. Zhao, P. A. Wilson, Z. Hu, & F. Wang (Eds. ), Maritime collision and prevention : proceedings of the Hill Taylor Dickinson Seminar on Maritime Collision, held in Dalian, China, 21 September 1996, and the International Conference on Preventing Collision at Sea, held in Dalian, China 22-25 September 19 (pp. 63-68). Dalian, China: Chiavari Publishing. Xing, J. T., Xiong, Y. P., Tan, M., & Toyota, M. (2006). Vibration problem of a spherical tank containing jet propellant: numerical simulations. (Ship Science Reports; No. 141). Southampton, UK: University of Southampton.